The Great Pumpkin? Poor Lauren, Anna and Marcus!!! 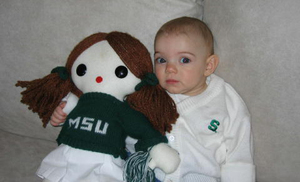 awe, anna is too cute with her msu doll … and it is sad that she is sad! that is not good!